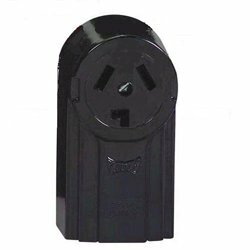 A 3-wire cord consist of 3 wires molded together. Looking at the cord end without the plug, the left and right wires are the hot wires and the middle wire is the neutral. In a 3-wire circuit, the neutral also acts as ground. The connections on your dryer should have three connection terminals. Left is hot - middle is neutral - and right is hot. 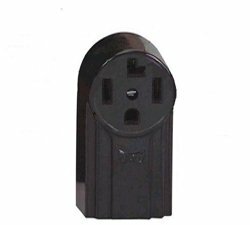 You should notice a black & red wire from the dryer already connected to these terminals in the same manner. The middle connection should have a ground strap which connects to the white or neutral connection. This is the part of the circuit that changes when switching 3-wire to 4-wire as I will discuss later. Some dryers depending on their age will show labels on the screw connections. If so, L1=Hot, N=Neutral, and L2=Hot. The red and black wires (Left & Right if not color coded) can go on either hot terminal, it really doesn't matter. Just be very careful not to put a hot wire on the neutral connection. I will typically go by the wires that are connected internally from the dryer. 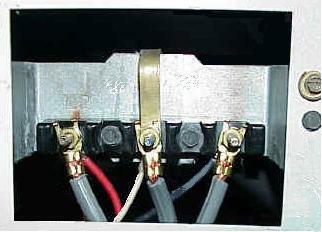 On a 3-wire connection, also be sure the the ground strap is securely connected to the neutral connection (middle). The 4-wire connection is the new updated circuit. The only difference is the addition of an isolated ground wire separate from the neutral as mentioned earlier. A 4-wire cord consist of a 4 conductor cable with wires colored coded as Black (Hot), Red (Hot), White (Neutral) and Green (Ground). In a 4-wire circuit, the neutral and ground are isolated. The connections on your dryer should have three connection terminals. Left is hot - middle is neutral - and right is hot. You should notice a black & red wire from the dryer already connected to these terminals in the same manner. The middle connections ground strap which connects to the white or neutral connection will be taken off in order to keep the neutral and ground isolated. 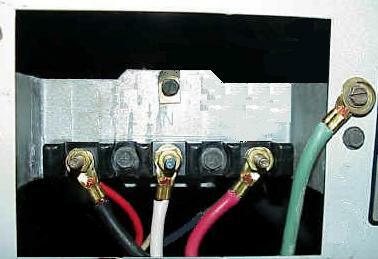 The green wire (Ground) will attach to the frame of the dryer which protects the unit from stray or live voltage.